Still haven’t bought a Ford lately? Well, if you’re thinking about one, there’s some great news. Ford is extending discounts on the EcoSport, Explorer, and Everest until February 28, 2019. 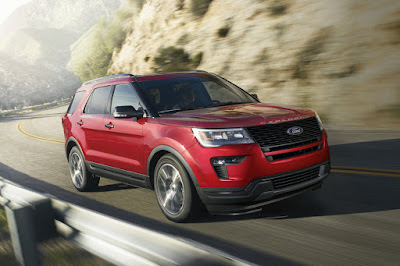 For those in the market for a premium mid-sized SUV, there’s the 2019 Explorer. Quietly refreshed, both the 2.3L EcoBoost Limited and 3.5L EcoBoost Sport can now be yours thanks to a P 100,000 cash discount. If you want something a bit more mainstream, Ford is continuing its promotion on the Everest which enables to you to drive home with any 2.2L Titanium 4x2 at just a 20 percent downpayment and the rest, is financed for 4 years at zero, yes, zero percent interest. That’s effectively savings of P 368,000! Oh, and for those who want something a bit less fancy, there’s also the 2.2L Trend 4x2 which can be yours for an all-in low downpayment of just P 58,000. Still too big? There’s also the new EcoSport which can also be driven home with an all-new low downpayment of just P 58,000 for the 1.5L Ambiente M/T. “With the extension of this great deal, we are allowing more customers to drive their own Ford SUV with additional cash savings to keep. We recognize that the demand for SUVs in the Philippines continues to grow, so this is a perfect offer for everyone to take advantage of,” shares Bert Lessard, managing director, Ford Philippines.